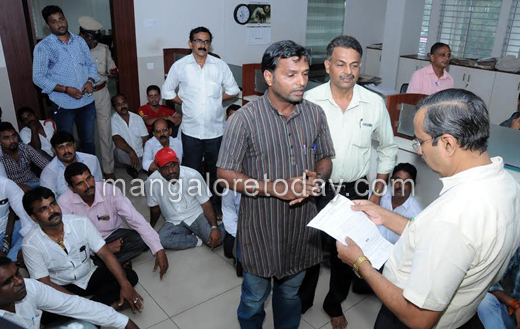 Mangaluru, July 14, 2016: Reports reveal that the drivers of school vans and cabs on July 13, Wednesday protested against the delay on the part of RTO, Transport Department officials in calling a meeting regarding the enforcement of norms on ferrying schoolchildren. 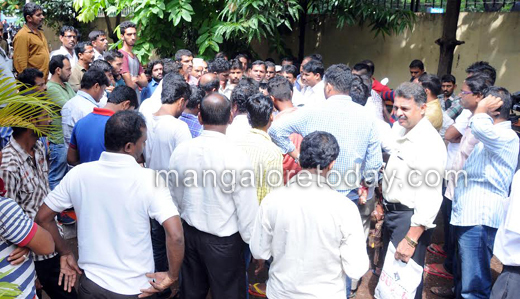 A number of drivers, under the banner of Dakshina Kannada School Van Drivers’ and Owners’ Association, staged a protest in front of the office of the senior regional transport officer here. Santosh Kumar Bajal, who led the protest, said following the accident in Trasi on June 21, a statement was issued that a meeting of all stakeholders would be conducted “in two days”. But so far, no meeting has been called to resolve problems related to implementing norms on safe transport of schoolchildren. Instead, Transport Department officials and police have started booking cases against van drivers, he said. Bajal said cases were being booked by stopping vehicles on the way to school. He accused officials and the police of harassing the drivers and children. a private school van service operator said cases were being booked in the morning, holding up children on their way to school. In fact, the fear of being booked for violations was forcing some drivers to drop children a little way from the school, he added. Another school cab operator, said it was difficult for parents to make alternative transport arrangements after the start of the academic year. He said it would be better to implement the safety norms from the next academic year. Hearing the problems of school van operators, the in-charge Senior Regional Transport Officer, G.S. 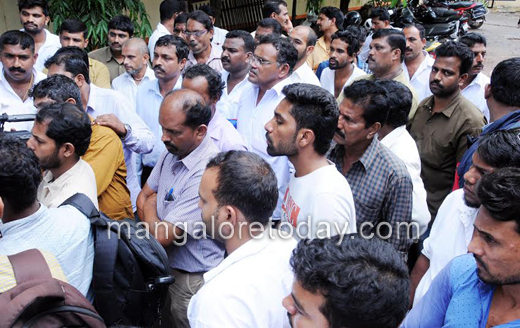 Hegde, said a meeting of school vehicle operators will be held in the next few days. He said instructions will be given not to book cases against drivers on the way to school.